What kind of country is this? Sorry guys, I needed to ask this question. How can herdsmen cross the perimeters of an airport with their cows knowing fully well that it will cause a major crash if anything ever happened. This is outrageous. 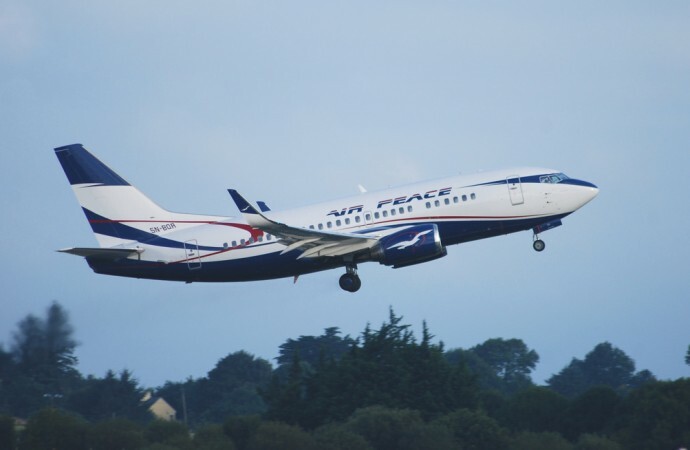 According to Wazobia news, several air passengers escaped death in Akure, Ondo State yesterday as cows took over the runway of the Akure Airport and prevented an Air Peace plane from landing. It took combined efforts of the airport security men and other aviation staff to clear the runway of the cows before the aircraft registration number 5NBQQ to land more than 20 minutes after. The pilot, Captain Williams Inyang was said to have contemplated a return to Lagos when it was taking longer than necessary for the runway to be cleared by the airport security. Palpable fear had enveloped the passengers, who initially thought the pilot deliberately aborted landing, while the pilot had to hover close to 20 minutes. Today was not the first time a major airport runway was invaded by cows. The Port Harcourt International Airport runway was sometime ago invaded by cows and an approaching Air France plane collided with some of the cows. The expertise of the pilot saved what would have been a tragic incident as the plane was only slightly damaged with passengers suffering shock. Also, on November 10, 2016, a fully-loaded plane of Air Peace had to abort landing at Sam Mbakwe Airport, Owerri, when the pilot discovered that the runway had been invaded by cows. If I'm correct, Akure airport has no navigational aid! No ILS, no glideslope, no papi lights!